Record Store Day 2018 in Philadelphia is set for this Saturday, April 21st. Music fans will flock to area record stores to get their hands on exclusive releases, excellent deals, and live in-store performances. Despite our world of digital music and devices, the local independent music store is still the place in the community where fans can discover and discuss music, meet new people, get to know the owner, get opinions, and walk away with an actual product in hand to enjoy. 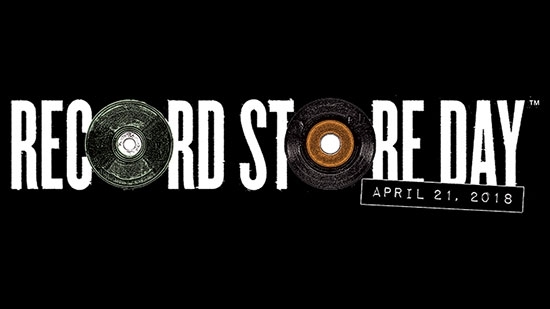 This is the 11th year for Record Store Day. It was founded in 2007 "at a gathering of independent record store owners and employees as a way to celebrate and spread the word about the unique culture surrounding nearly 1400 independently owned record stores in the US and thousands of similar stores internationally... This is the one day that all of the independently owned record stores come together with artists to celebrate the art of music."